Her current role in a new West End musical adaptation of 9 To 5 is a far cry from her career beginnings as an unknown dancer turned bikini-clad contestant on popular dating show Love Island. 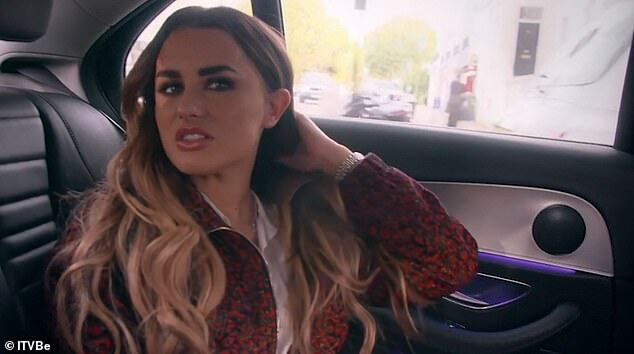 And Amber Davies admits she is able to embrace her role with a newfound confidence after ridding herself of one of her oldest insecurities by getting her ears pinned back. Speaking to Wednesday’s edition of Lorraine, the 22-year old revealed she had been desperate to go through with the painful op before making her debut as Judy Bernly in the hit musical. 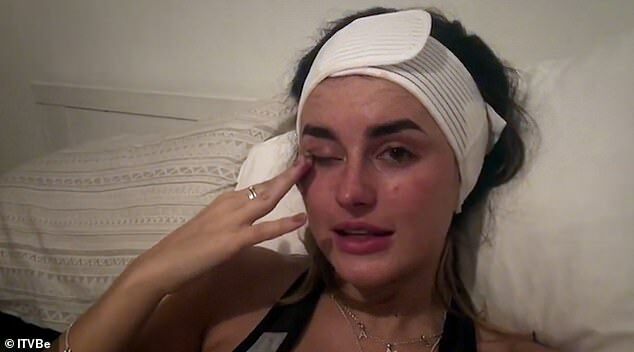 ‘It’s been an insecurity of mine since I can remember,’ she explained of the procedure, which was recently documented on ITVBe show Amber and Dolly: 9 To 5. ‘My mum said, “Oh wait a few years you might grow into them.” I hated them. I was never trolled about it but I can notice it, and I’m so much happier. While Amber’s career has gained traction in the two-years since she won Love Island, her personal life has inevitably faced its fair share of scrutiny following an abrupt split with boyfriend Kem Cetinay in 2018. A short lived romance with James Hawkins followed, while notorious TOWIE lothario Pete Wicks and singer Olly Murs have also been linked to the pretty brunette. But it is a rumoured one-night stand with One Direction star Liam Payne, shortly before he embarked on a relationship with supermodel Naomi Campbell, that has prompted furious speculation over recent weeks. ‘I just want to concentrate on myself,’ she said, without denying the reported fling with Payne. She added: ‘I feel like because I did Love Island my love life is under a magnifying glass, and someone can follow me or I’m on a date and it’ll end up in the papers. 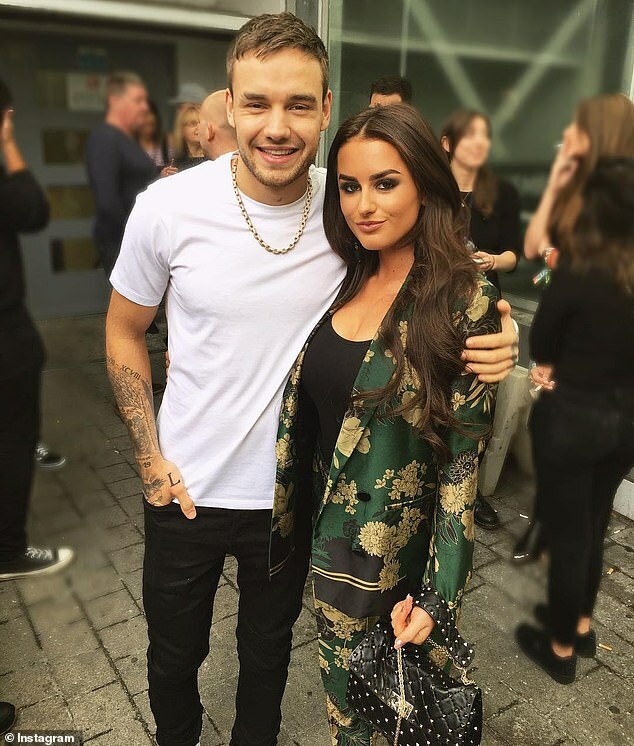 Rumours: A rumoured one-night stand with One Direction star Liam Payne has prompted furious speculation over recent weeks. Appearing on a mainstream reality show has also prompted additional speculation regarding her ability to perform capably in the West End, But Amber insists she’s well prepared for her challenging new role. 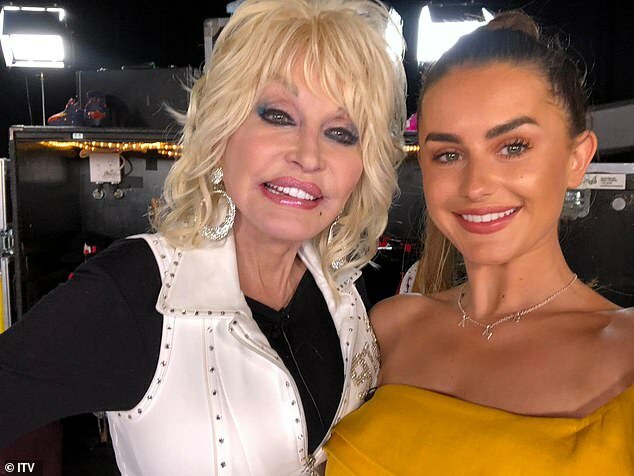 That ambition has now been met, and with it a life-changing meeting with country icon Dolly Parton, who wrote the musical based on the hit 1980 film she starred in. Reflecting on her chat with the American superstar, Amber admitted she gave her some sage words of wisdom before she took to the stage for the first time. ‘I still can’t believe it, she’s so lovely, one of the nicest women I’ve ever met,’ she said. ‘One of the best things she ever said to me is that you’re only in competition with yourself, which really stuck with me.